Home / Scent benefits / Does Natural = Safe? The market is saturated these days with healthy labelling. Organic, non-GMO, sustainably-sourced and pesticide-free foods are heavily advertised, debated and generally agreed to be better for everyone. Fragrances and cosmetics are going increasingly in the same direction and (often despite the cost); we seek them out on a fairly regular basis. It’s a marketing phenomenon that makes us feel we are doing something good, even safer for ourselves and – dare we say it – morally justified. Are natural products just hype? The big question though, is ‘are natural products really safer’? First of all, we should explain the alternative – man-made. This is a chemical that isn’t derived from a natural source and is manufactured for its characteristics. Some man-made fragrance molecules are structurally identical to nature and these are sometimes called ‘nature identical’. We asked one of the Initial experts, Dr Gail Aitken to explain further about the difference between man-made and natural, using fragrance (like those found in PremiumScenting solutions) as an example. So the answer is ‘possibly’. Can chemically modified products be safer than purely natural? The easy answer to this is yes. There are some citrus oils that are phototoxic and are produced by plants as a defence mechanism against various types of predators (in this instance, us as we harvest them for our pleasure). If the natural versions of these oils are used and the skin is exposed to sunlight or more specifically, UV a chemical reaction is triggered and skin can be damaged. This is nothing to do with the human immune system, but a chemical reaction taking place on the skin. Either way, it can be alarming and uncomfortable. That is why, most times, these oils are chemically modified to remove the dangerous components and make the final product safer. Are there any other benefits to man-made ingredients? Reduced impact on the environment – There are simply not enough essential oils grown to supply ingredients for all use globally, the sources of which are not always sustainable and harvesting the ingredients can have a negative impact on the environment. Cost efficiency on expensive natural ingredients – Nature-identical and man-made ingredients are more stable in price and quality, offering greater variety and complexity of fragrance types, strength and longevity of effect. Seasonal variants impacting availability – Essential oils are variable in cost, quality and quantity depending on the growing and harvest conditions. This has an obvious impact on you as the consumer, and your pocket. Choice and variety – Man-made not only allow for greater creativity when formulating fragrances to be used in a variety of ways, but also enables us to create new fragrance ingredients that can’t be found in nature, such as Iris. Consistency – Who wants their favourite perfume to change from season to season? Nobody, because it’s their favourite! Natural fragrances will always have slight variances, even if they come from the same location. This just doesn’t occur in man-made fragrances. At Premium Scenting, we believe that advancements in science and technology can be beneficial to our safety and reduce strain on the environment, for example a man-made version of Sandalwood – a very desirable fragrance in many skin-care products – the slow-growing trees of which have suffered through over-harvesting. 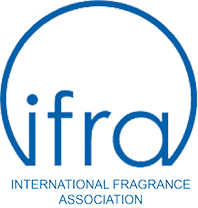 We are members of IFRA UK and all of the fragrances used in our products comply with general product safety, REACH, CLP/GHS, Workplace Health and Safety (H&S) and IFRA standards to ensure the safety of our products. Would we use man-made? Most definitely – yes. Dr Gail Aitken, Fellow of the Royal Society of Public Health, has spent 12 years in research development before moving to Rentokil Initial five years ago. She is currently Product Development Manager, Hygiene and Pest Control Consumables.